Here are some photos of various snow removal operations through the years. These photos are presented here courtesy of Travis Berryman. 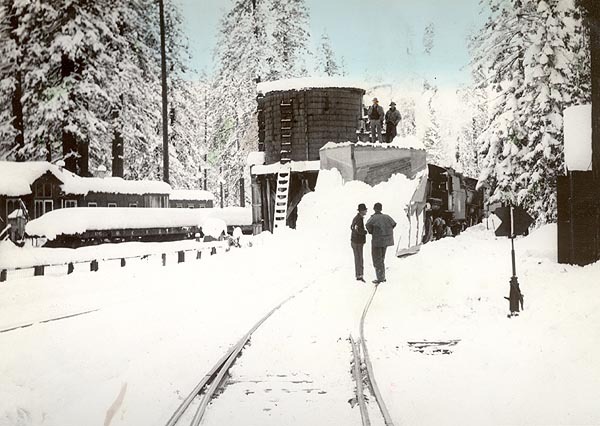 Some of the tools the McCloud used to clear snow from the rails are visible in this photo. 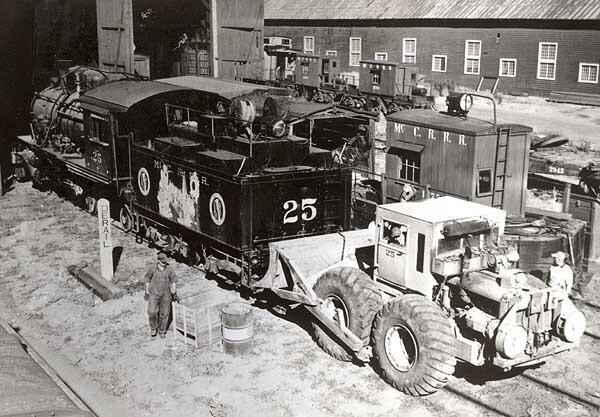 One of the small box plow/flangers is on the track adjacent to the #25, and two flangers are visible in the background. The #25 has just returned from the Burney opening line celebrations. Travis Berryman collection. 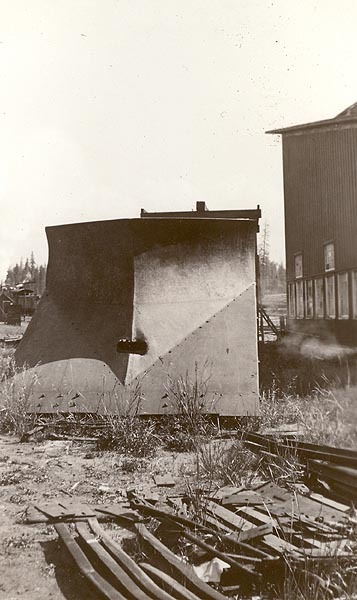 A steel wedge plow behind the McCloud roundhouse in June 1936. Travis Berryman collection. Diesel #28 pushing a bucker plow and pulling a caboose and a flanger at Hooper. 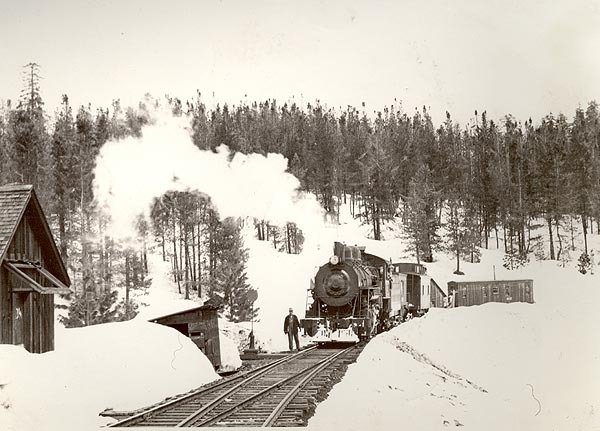 Two steam locomotives and a bucker plow in Pondosa after opening the line from McCloud. 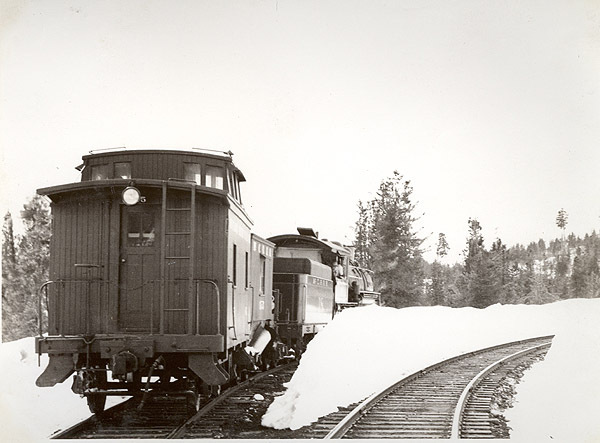 One of the mikados with a flanger and caboose #05 at Signal Butte. 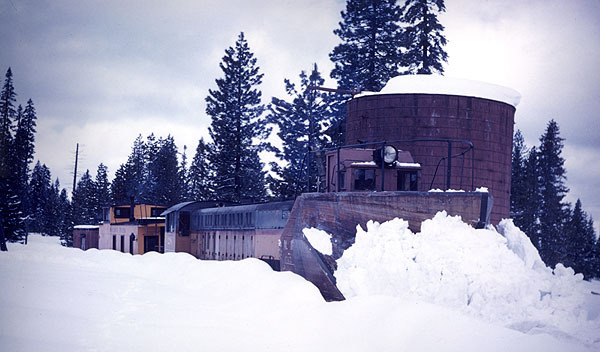 Another view of the flanger train from above starting down the hill towards McCloud.